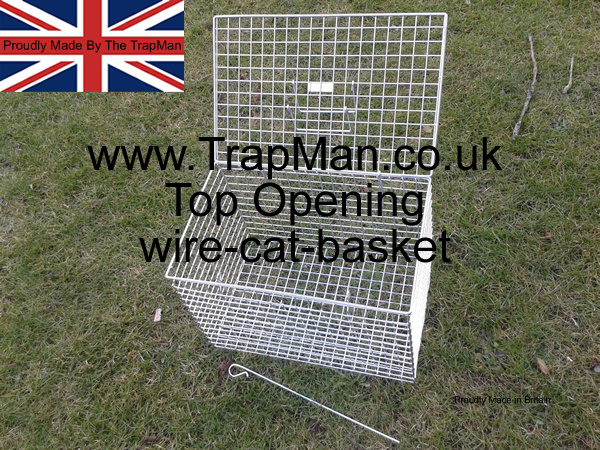 Wire cat basket, cat carrier, Strong, sturdy coated wire basket for cats, small dogs, rabbits, guinea pigs etc. 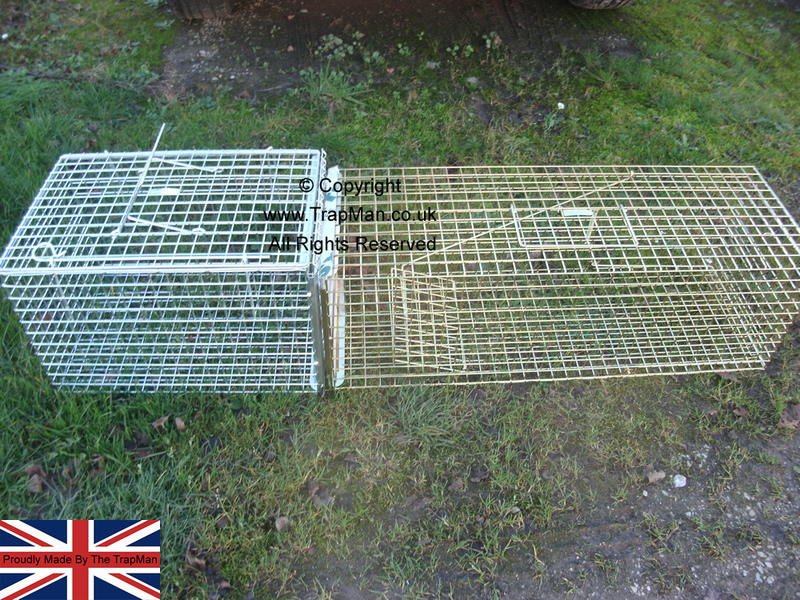 These carriers are top loading, the cat is lowered into the basket, much eaisier than the open end type,. 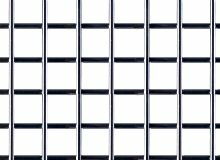 The mesh sides have the advantage of being incredably strong but still allow the cat full vision of its surrondings. 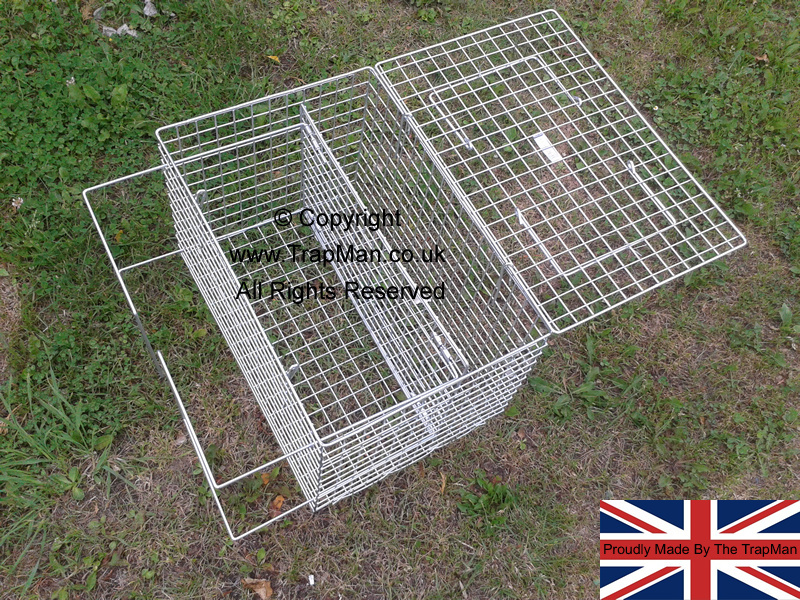 Large cat basket 18" x 11.5" x 11.5" Weigh's in at 4kgs, so increadably robust, this cat carrier will withstand over 100Kgs evenly distributed weight without distorting, You can be stack these cat baskets high without fear, they can be disinfected using chemicals, autoclave, power washers or steam cleaned without harm. 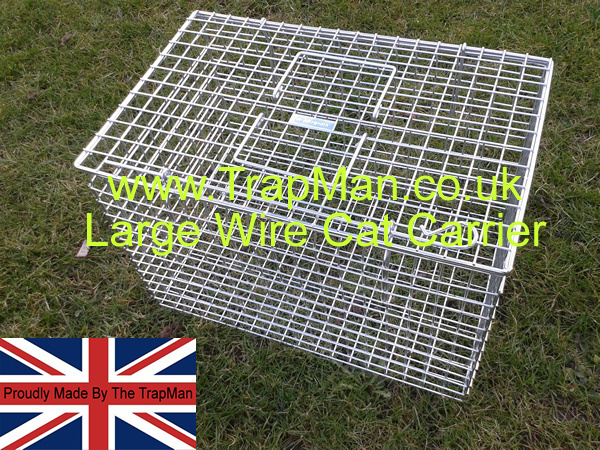 Take ALL the risk of transfering your trapped cat into a cage by using our Trap Transfer Cage, ideally used in partnership with our Pro Gold Cat trap with rear sliding door. 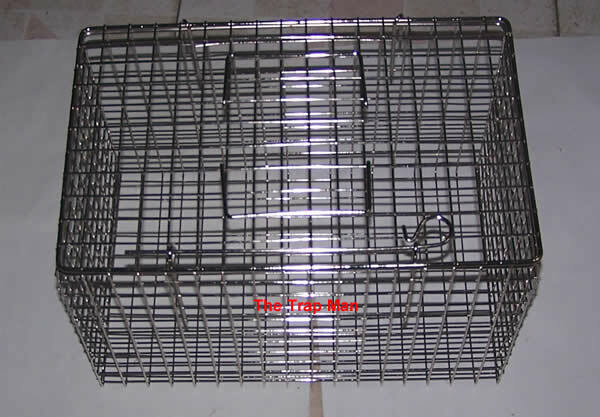 Once you do buy one of our cat basket......and you will...get your cat used to it.....bed the base out with your pets favorite blanket.......leave the top open....let your cat sleep in the carrier with the lid closed but not locked ...this will help next time you visit the vet.....your cat will not then associate the carrier with a visit to the vet. Protecting domestic pets when visiting veterinary surgeries. moving home or simply transporting them safely over distances is an important task which demands the best products available for all who care for animals.